Since the top in gold in 2011 gold has selling off. Depending on how you analyze the market, this 3 year sell off could be seen as consolidation within a major cyclical bull market or that it’s in a bear market. But know this, either way, the outlook is bullish, and all gold has to do is find a bottom here and rally above the $1400 per ounce level. This would kick start a major feeding frenzy of gold buying. 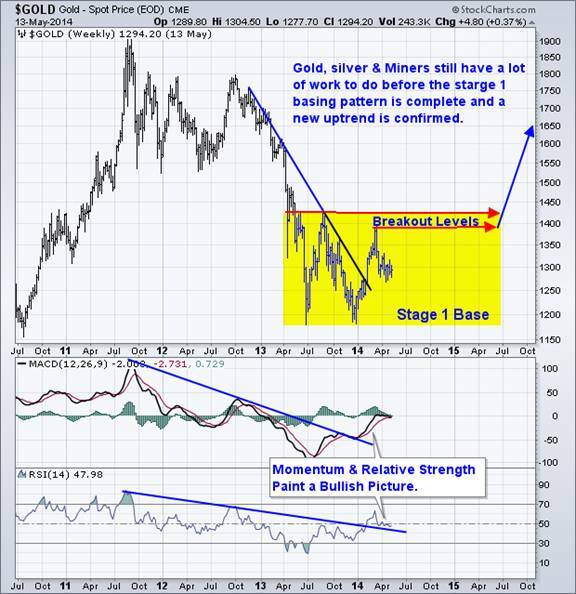 You can see my recent report on the US Dollar and gold forecast.